Now for iOS and Android. 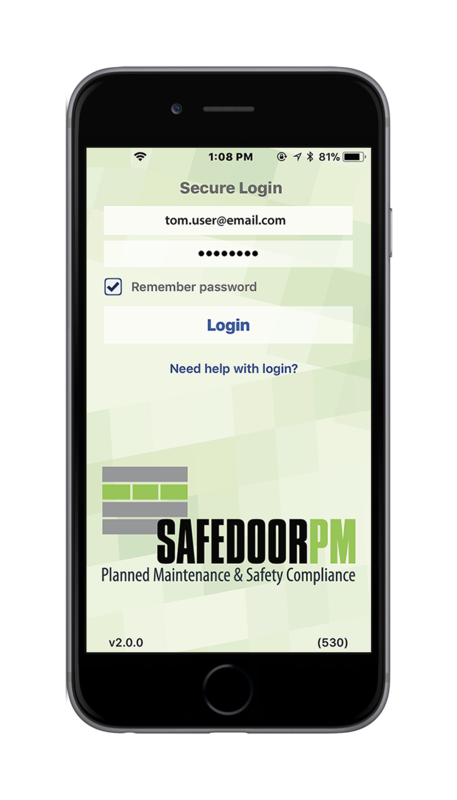 SafedoorPM is pleased to announce its mobile app is now available for Android. Service technicians use SafedoorPM's mobile app to perform and record PM work. The app provides technicians with detailed PM work plans based on manufacturers' specifications, enabling them to do better, more informed work.